Cracks onthe tomatoes indicating that tomatoes are cooked well. Now remove the skin and then blend it. no need to add extra water. boiled the eggs and keep it aside. Heat oil in a vessel add salt,turmeric powder,eggs.Fry eggs till light brown colour,keep it aside. In the sames vessel add Mustard seed,Zeera fry till mustard seed splutters. add curry leaves.Now add onians and chillies fry till they turn to golden brown colour. Add ginger garlic paste,fry for 3 min. Now add coriander powder,chilli powder,tomato puree and cook for 5 mins. Add thick paste of(cashews+Poppy seeds) cook for 5 min,add 1 cup of water. Now add eggs,let it cook for 15 min on a medium flame. add garm masala powder cook for few min ,then garnish with corinader. Serve hor with roti or rice. 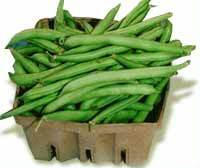 Clean the french beans and chopped into 1 inch size pieces. Now Heat the oil in a vessel,add mustard seeds let them pop.Add cumin seeds, after that add curry leaves and fry till curry leaves are crispy. Mean while grind onions and dry chillies into rough paste. Once beans are cooked,changed its colour add ginger garlic paste fry for 2 Min's. Now add onions,dry chilli paste,coriander powder and garam masala,then fry for 5 min. Now again close the lid for 10 to 15 min.Stir in between. After they get cooked,garnish with coriander. Learn IT Courses like Python, Linux, Java,C,C++, Ruby and more with Videos, Video Tutorials and Screencasts.You can download here for free.Join as a member in this community and get updates from others posts .Click on below link to go to website.